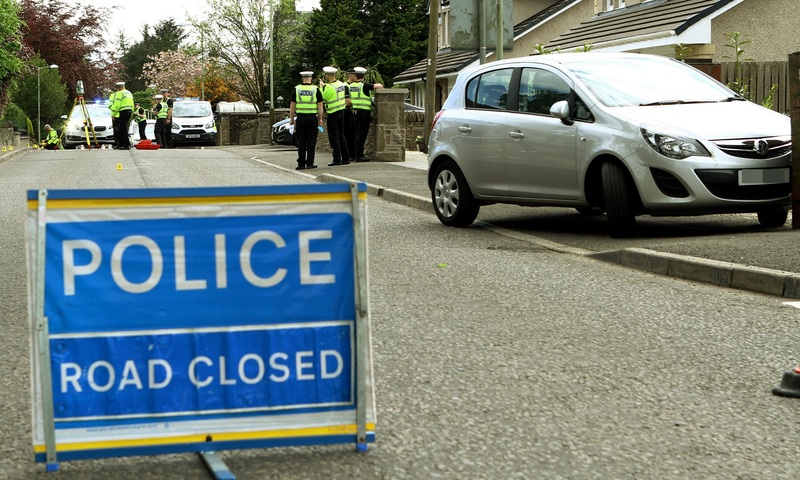 An elderly woman was killed after being knocked down by a car in Birkhill on Monday. The incident occurred on Dronley Road, which leads from the Coupar Angus Road to the village primary school, around 2pm. Police confirmed the victim was a pedestrian who died after being knocked down by a Vauxhall Corsa. Paramedics treated the woman on the road but were unable to save her life. Skid marks could be seen along the kerb of the pavement on the westbound side of the road. The Vauxhall had come to a stop in the driveway of 8 Dronley Road on the opposite side of the street. Frances Harrison and her husband Cy were babysitting their three young grandchildren in the house when the accident occurred – but heard nothing. She said: “We never heard a thing. At first we thought somebody has just parked for the school but then saw there was somebody on the road being treated. An elderly woman was seen being comforted by a man in one of the ambulances before it was driven away from Birkhill. It is believed the distraught woman had been the driver of the car. A police officer was also later seen leading a distraught younger woman away from the scene of the crash. 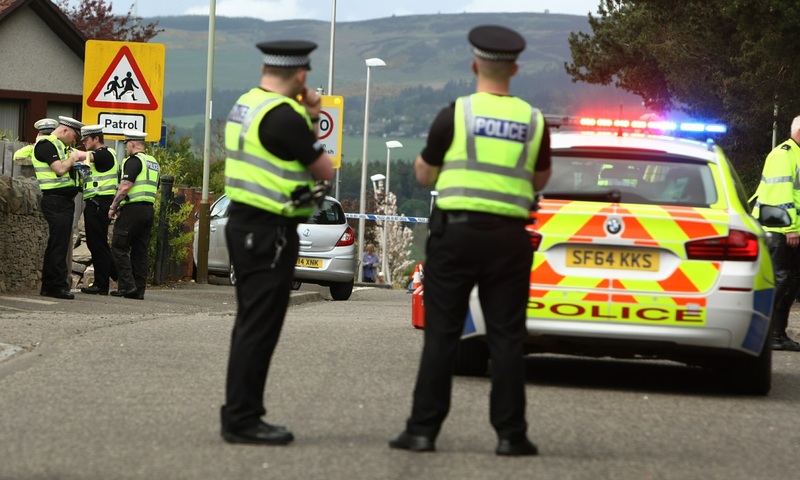 A Police Scotland spokesman said: “Police Scotland can confirm that sadly a female pedestrian has died following a road traffic incident on Dronley Road in Birkhill this afternoon. “The incident happened at 2pm. “The road is still closed while officers carry out enquiries into the full circumstances of the incident. Motorists are advised to use alternative routes where possible. “Next of kin have been made and there is no further information is available at this time.